The store`s security video captured the horrible crime in its entirety. The suspect`s face is clearly visible. But despite an intensive investigation and airing of the video on national TV twice, the crime has remained unsolved for seven years. It was just before 10:30 a.m. March 10, 1997, when a man pulled his red Pontiac Grand Am into the Amoco station in Cozad, just off Interstate 80. Leah Rowlands, 41, from Cozad, was working that morning. It was the last time anyone saw her alive. The barefoot man walked into the store and wandered around a bit. Investigators said he was waiting for a mother and daughter to buy their items and leave. 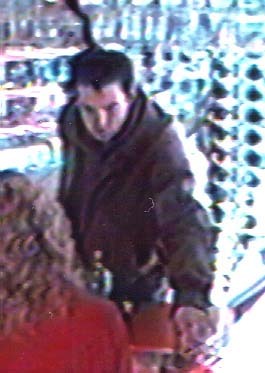 The man, wearing dark sweatpants and a black or dark gray hooded sweatshirt with a bomber-style leather jacket, got a bottle of pop from the cooler, opened it and took a drink. What happened next still haunts investigators. The man approached the counter and spoke to Rowlands. She opened the cash register and handed him the money then, lay on the floor behind the counter. The man pulled a 9 mm semiautomatic pistol from his right pocket, leaned over the counter and fired at least three shots. Two pierced Rowlands` arm. The third entered the left side of her skull, killing her instantly. The unknown man walked out with the soda, a pack of cigarettes, a lighter, $150 and a full tank of gas. The car, possibly a 1993 model, had no front license plate. The rear plate was impossible to read. The television show "America`s Most Wanted" aired the security videotape twice – once in 1997 and again in 2002 after a video enhancement – and hundreds of leads poured in, but so far no suspect has been arrested. If you have any information concerning this case, please contact your local Law Enforcement Agency or call the Cozad Police Department at 308-784-2366. You may remain anonymous by calling the Dawson County Crime Stoppers at 308-784-1234. Twenty years ago today, a 22-year-old Gothenburg, Neb., woman — the mother of two small children — disappeared. Christi Jo Nichols was a 22-year-old mother when she disappeared 20 years ago today. Although authorities suspect Christi Jo Nichols is dead, her body never has been found. The Nebraska State Patrol investigated the case and the family hired a private detective — to no avail. The Nichols disappearance, on Dec. 11, 1987, is one of 26 cold-case files the State Patrol has worked on in the past two years with help from a $250,000 grant. Sgt. Bob Frank of the State Patrol said investigators gathered some DNA, but it didn't yield good results. "We hit that case real hard, trying to get some DNA evidence," he said. "Now we have to go back to a more conventional type of police work." Some family members, including aunt Joanne Kniss of Omaha, were convinced at the time of Nichols' disappearance that Nichols was slain and her body hidden. "That's still our feeling," Kniss said Monday. "She was killed and, I presume, her body dumped somewhere." Ken Williams, Christi's father and Kniss' brother, isn't as convinced about his daughter's fate. "I have no evidence of foul play," said Williams, who lives in Colorado. "Without evidence of foul play, what can you say? Without evidence and witnesses, what do you have? "I'd just like to know what happened," he said. "My thoughts are still the same," he said. "I'd like to find an answer. Somebody has to know something, whether she's dead or alive or left on her own, or whether she was murdered." Kniss moved to Omaha from North Platte, Neb., to work with the private detective the family had hired. 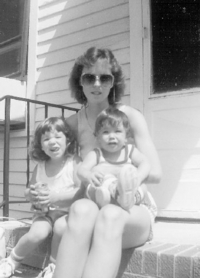 She became a licensed private investigator and followed leads in her niece's case. "I have been working on leads since the day we found out she disappeared," said Kniss, who now works at Children's Hospital in Omaha. "It's time we get it resolved," Kniss said. "We're trying to keep it before the public eye and ask anyone with information to come forward." Williams said he can't believe his daughter would have left her children, who were 3 and 2 years old at the time. "Even 20 years later, I can't believe she'd do that. "There's a lot of thoughts on what happened. I'd like somebody to come forward with the information." Anyone with information should call the Nebraska Missing Persons Information Clearinghouse at 877-441-LOST (877-441-5678) or the North Platte State Patrol office at 308-535-8047. North Platte was shocked to hear of a hit-and-run accident that left a 4-year-old girl dead April 29, 1967. Mary Ann Alegria, 615 N. Adams, was struck and killed instantly as she and her brother Gilbert, 8, were crossing West Sixth Street in the 600 block shortly after 7 p.m.
A witness following the vehicle that struck young Mary Ann said the white car was westbound and its speed was constant. He told police the car never slowed or swerved to avoid hitting the little girl and continued on afterward at a normal rate of speed. The child's body was crushed and she suffered a massive head wound. "How can a person live with himself after knowing he did something like this?" asked North Platte Police Chief Lloyd Muirhead at the time. "The driver must have some sort of conscience." The police checked more than 1,500 cars in the following weeks, looking for damage and forensic evidence. They searched auto repair and body shops, parking lots and driveways for the suspect vehicle to no avail. For a while, police followed up 30-40 leads provided by helpful residents. They even asked people to check their own cars for damage. Muirhead later said it was possible the person who hit the girl was not even aware of it. Investigators found several cars with damage and organic tissue underneath the cars, but all the tissue turned out to be from animals. Lincoln County Sheriff Jim Carman, formerly a North Platte police investigator, said the department continued to investigate the crime throughout the late 1970s, but officers were never able to prove who committed the crime. The strange beating death of a Tryon man remains as much as mystery today as it did the hot August morning his body was discovered. Amos Kindig, 52, was found beaten to death in the cab of his truck parked in the 300 block of West Sixth Street in the early morning hours of Aug. 10, 1946. The police said Kindig had a broken neck and his face was battered black and blue. Press reports at the time said the police believed the assailant used a weapon, but it was never located. The police also believed Kindig might have been beaten elsewhere, then loaded into his truck and driven to the spot where he was discovered. Kindig's empty billfold was found on the floorboard and several fingerprints were located inside the truck, but they proved to be too dim to be useful. Investigators quickly hit a dead end. Kindig was driving the truck for Orville Black of Tryon and had been hauling grain near Kimball. He was survived by two sisters, Florence Stevenson of Beaver City and Mrs. George Marvin of Gandy. Clara Cook was 38 years old when she died at the farmhouse where she was born and raised west of North Platte on May 29, 1934. Clara was the only daughter of Annie Cook, the infamous woman who ran Lincoln County's Poor Farm for 11 years and was memorialized in Nellie Snyder Yost's book "Evil Obsession." Frank and Annie owned the farm about eight miles northwest of North Platte. Based on interviews with those who were at the farm the day Clara died, Yost wrote that Annie and her daughter had been fighting all morning. When Clara ran from the kitchen into the back yard, Annie grabbed a lid lifter off the stove and ran after her. Elizabeth Peete, Annie's sister, told Yost that Annie threw a lid lifter at Clara, striking her on the right side of the head. Peete said Clara ran around a tree several times, then fell over dead. Lincoln County Attorney Collis Bell told news reporters that an inquest wasn't necessary because the death was purely accidental. Bell said the immediate cause of death was suffocation resulting from fluid entering the lungs. The North Platte Bulletin reported that Clara had been poisoned. "According to witnesses, Miss Cook had been busy working in the kitchen and had just prepared to bake bread," the Bulletin reported. The paper said Clara asked an aged inmate of the poor farm to prepare a dose of medicine she took. "The inmate, by mistake, poured poison into the glass," the Bulletin reported. "Miss Cook swallowed the poison and immediately began choking and coughing." The Bulletin reported that a physician from North Platte said the poison entered her lungs and practically suffocated her. Investigators did not learn the name of the inmate said to have administered the fatal dose. Many believe this case was never adequately solved. During the years Cook ran the poor farm, several poor and aged inmates were found floating in irrigation ditches. One drank carbolic acid, reportedly by mistake. John C. Hunter was known as the "King of Nebraska Bootleggers" during the late 1920s and early 1930s. Prohibition was in full bloom and illegal activities had grown into an empire in North Platte, a town people called "Little Chicago." It was during these days that Hunter ran bootlegged booze from Canada all the way south to Texas across the Great Plains. It was reported that he made $20,000 a month with his illegal bootlegging. But Hunter had made enemies. In August 1931, Hunter turned up missing. His truck was found on Fred Sirek's farm southeast of town and his car was discovered, months later, in an Omaha parking lot. For nearly eight years, Hunter's fate was unknown. Then, in April 1939, his skeleton was discovered under a cement floor in Sirek's dairy barn, third stall from the front door. Nellie Snyder Yost wrote in "Evil Obsession" that Pearl Whittaker, Hunter's former girlfriend, told Hunter's former lawyer where the body was buried. Local newspapers at the time ran pictures of the grave and of the skull, showing a large, jagged hole over the right eye and temple where the "death blow" had been dealt. A three-foot long bar, found beside the skeleton, was assumed to have been the "instrument of death." Officials charged Harold Lozier, Hunter's former right-hand-man, with the murder and brought him back from California where he was living. Many believed a rival gang had done away with Hunter for his booze routes. Lozier claimed Hunter asked him to rent Sirek's farm for stills to make booze. He admitted digging a hole in the stall but said it had been for a still and that he had torn the still apart and filled in the hole at Sirek's request. He claimed to know nothing of Hunter's murder. After a seven-day trial, a crowd of 300 filled the Lincoln County courtroom to hear the closing statements. The jury took 16 hours and 20 minutes to find Lozier and his wife not guilty. The Loziers left for California the next day — the same day the U.S. government sued the Hunter estate for $55,000 for back taxes. No one else was ever brought to trial for Hunter's murder. A cowboy named Robert Webster met his end as he was working as a drover with one of the more than 30 herds of Texas cattle driven north in 1875. Webster's crew was camped west of North Platte, near Ogallala, on the morning of Aug. 5 when the crew's cook went hunting for wild game. Webster and a herder known only as Woolsey decided to play a trick on him. Woolsey disguised himself as an Indian and surprised the cook, riding hard at him. The cook set for camp at a dead run. Webster, one of Woolsey's companions who participated in the plot, fired shots over the herder's head to lend credence to the appearance of an Indian attack. A few of the shots nearly hit Woolsey. Later Woolsey located Webster bathing in the Platte River and shot him to death in revenge. "Woolsey then mounted his pony and rode off," reported the Western Nebraska, a North Platte newspaper. "It is reported that both men (Woolsey and Webster) were hard cases," the newspaper wrote, "But no words are too strong with which to denounce the deep-seated cowardice of shooting a man under such circumstances." The paper said county court was called into session and Judge W.P.P. St. Clair found that murder had been committed and "that the same was committed by one Woolsey, whose other name is not known." The court telegraphed information on Woolsey to Great Bend, Hayes City and Buffalo, but the man was never located. Following a coroner's inquest, which found five bullet wounds in Webster's body, his remains were "buried at the foot of the hill north of Ogallala." Woolsey was never heard from again. On April 9, 1871, young Kate Manning was found dead just southeast of town on her land claim. It was obviously a murder, according to the Nebraska GenWeb Project, as Kate was respected and had no enemies. Maj. William Woodhurst was sheriff at the time and he quickly discovered footprints from a peculiar shoe in the soft soil around Manning's tent. Kate Manning's brother Pete, who owned a saloon on Front Street, had a deformed foot. He was arrested and jailed. Pete was a popular guy with a happy disposition, and many didn't believe he could have committed the deed. Rumors circulated that Pete had threatened to "jump" Kate's claim and this, along with other circumstances, made a strong circumstantial case against him. The shoe Pete wore on his deformed foot was found to fit the impression in the soft soil so neatly that he was accused of the murder. A group of about 300 angry townspeople gathered in front of the jail with the intention of lynching Pete. The leader of the mob knocked on the jail door and demanded Pete Manning. Woodhurst's wife told the men that the sheriff was gone but that Manning was confined and a well-armed deputy was inside to protect the jail. "Anyone who enters the jail does so at his own risk," Mrs. Woodhurst told the crowd. Another man stepped forward and repeated the demand. "If you want Manning," Mrs. Woodhurst said, "get him in a legal way; but I think you had better go home to your wife, for I know she never would sanction you leading a mob." She went inside and bolted the door. Sheriff Woodhurst returned and, comprehending the situation, got an extra guard from the Army post to stand outside. The mob then presented a petition demanding Manning. Woodhurst refused, citing his duty to protect the prisoner. Afraid that Woodhurst would sneak Manning away, the mob placed its own guards outside the jail to prevent Manning from being removed without their knowledge. The standoff continued for five days, until Woodhurst conceived a sneaky plan. The sheriff sneaked a soldier's uniform into the jail, dressed Manning in it and had him march to the Army post when the guard was relieved. The scheme worked. After the excitement died down, Manning got a change of venue to Grand Island to stand trial. The trial lasted several days and Manning was found not guilty. He returned to North Platte, financially and physically ruined and, after an illness, died in three years. Manning's bartender was then suspected. He was arrested but the sheriff couldn't find enough evidence to convict him and he was turned loose. The mob resurfaced, tied a rope around the bartender's neck and tried to induce him to make a confession. But even threatened with death, the bartender denied all knowledge of the crime and about Pete Manning's involvement. Whoever murdered Kate Manning got away with it. Her murder remains unsolved 133 years later.